In line with clients' diverse requirements across the nation, we are engaged in providing an optimum quality Rolling Thin Film Oven. - Tests which would closely simulate field performance. - Hotmix asphalt binder experiences significant aging during the manufacturing and laying process. Loss on Heating test is conducted for determining the loss in weight of bitumen and flux-oils on heating. 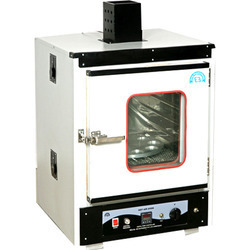 This instrument is produced as per ASTM D2872, T0610-1993, GB/T 5304 , used to determine the loss of quality after heating by oven, and then estimate the characteristic of aging of asphalt. 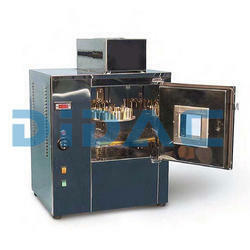 It is suitable for the determination of road asphalt rolling thin film oven heating test (RTFOT) after mass loss. After determination of rolling thin film oven heating according to need, penetration ductility and viscosity of asphalt residue brittle point properties changed, to evaluate asphalt aging performance.